I had to let you all know we are having a boy! It’s a big surprise to me because I was really feeling the girl vibe, but we are excited either way. 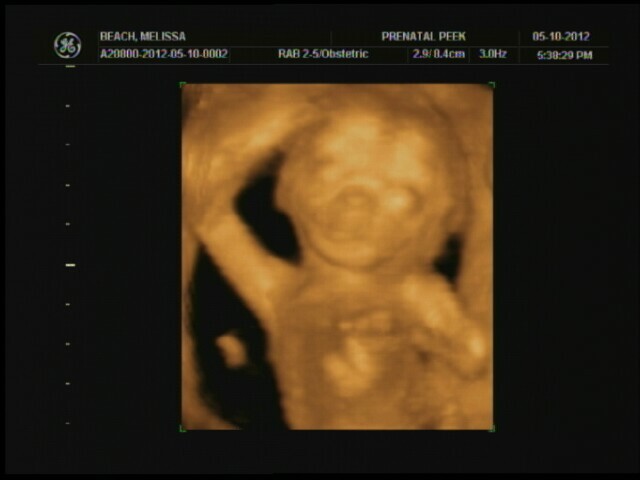 I got a 3d ultrasound at Prenatal Peek. Watching the baby move in realtime was an amazing experience. I highly recommend getting one if you ever have the opportunity. I am about 17 weeks and everything is going well. Baby is moving a lot everyday. Now all we need is a name… any ideas? Something that is not on the top 100 names list. Congratulations! I think we’re having a boy too, but we haven’t officially found out – going to leave that surprise ’til the end – but I’ll be VERY surprised if it’s a girl! I love so many names that my husband doesn’t for some reason: Marin, Aldo and Ramsey were my initial favourites, but they’ve all been vetoed! 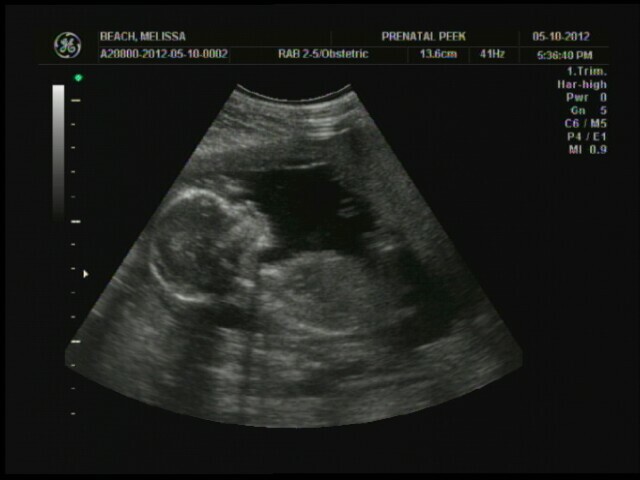 So nice to see your ultrasound and happy for you guys. Isn’t life amazing? How about these for your list: Geoffrey; Graham; or my all time favorite: David. Good luck with the naming and the pregnancy. Fabulous…..boys are *great* and open up a whole new world. 🙂 Congratulations!!! U should name him FALCON! Jr. of course….Trying to find some cool pics of Tom for my report!